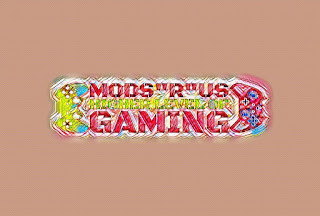 Here at Mods "R" Uswe want to make sure that all of our epic, modded controllers are full of awesome features that are going to make sure you are the king of any map that you are strutting around. One of the best features of our controllers has to be Quick Aim. So let's just say that you are using our awesome, 6000 Mode Modded Controllers Xbox One. As soon as you activate the Quick Aim mod on the controller, you are ensuring that you will have the upper hand in battle. Some of us, even those who have been playing Call Of Duty and other first person shooters for many years, will always pull the left trigger before shooting. No matter how better we get at the game, we still need that extra bit of aim that the left trigger gives. With the Quick Aim mod activated. You will aim as soon as you pull the firing trigger. That is right. No more holding down the left trigger and trying to aim. You can just run and gun all around the map and you will always be aiming when you shoot. It makes your match so much more efficient and the split second you save by not having to aim can be the difference between life and death! This really is one of the most popular features that our controllers have and if you are someone who always likes to aim down the sights before you shoot. Then this is a mod that is going to be perfect for you.